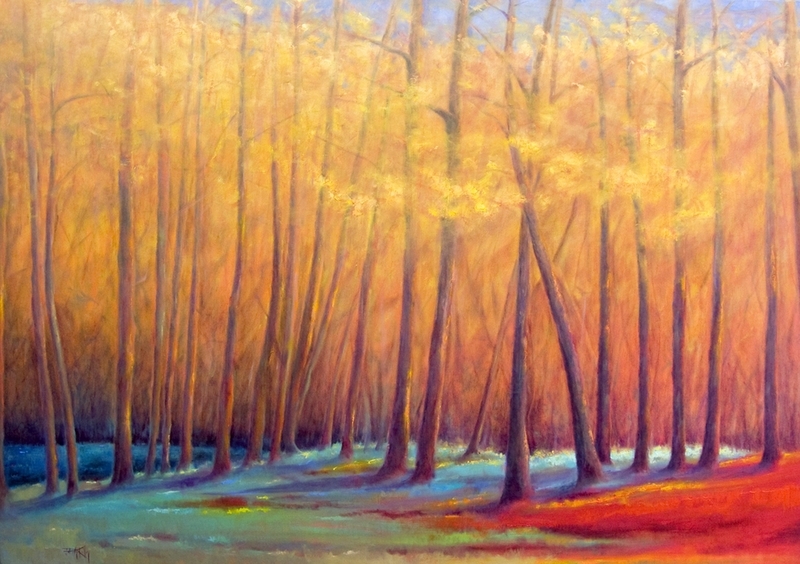 Jo Ridge Kelley is a well-known and highly regarded Asheville based painter whose impressionistic En plein air and studio studies of natural landscapes have garnered a wide national and international following. 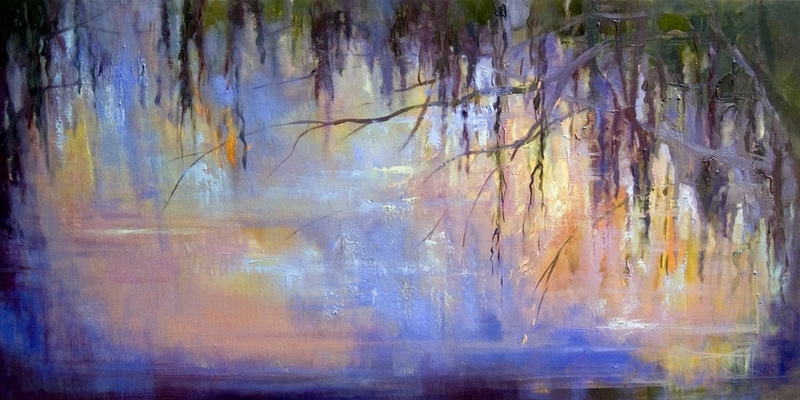 Beginning in 2008, Kelley’s work underwent a significant evolution after working with En Plein Air Masters, Kevin Macpherson, Kenn Backhaus and John Cosby. 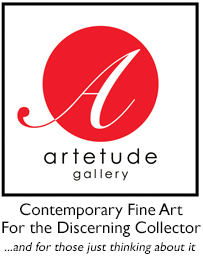 This new body of work forms the basis of her current exhibition at Artetude Gallery from Mar 6 to Apr 8, 2013. Click here for "in About a Minute" videos to Meet the Artist or to view an Image Collage of the "Simply Elegant" Opening Reception held 8 Mar at the Gallery. Kelley’s new work reflects an evolution of her soft-edged, impressionistic En plein air and studio style towards a more abstracted interpretation of natural landscapes that utilizes bold new and sometimes unexpected color relationships on ever-larger canvases. The impact of her work is stunning with abstract but nonetheless recognizable images interwoven with an intense expressionistic palette of colorful grays, deep shadows and intense light. The effect of this interplay of structure, color, light and texture invites the viewer to appreciate and ponder the power and beauty of nature. Jo Ridge Kelley was born in High Point, North Carolina and raised in the Quaker tradition on a dairy farm where she developed an intimate connection with nature. She studied drawing and painting at the University of North Carolina at Charlotte and graduated with a Bachelor of Creative Arts. After college, she taught art at the high school level for several years and continues today to conduct annual private workshops. The paintings of Jo Ridge Kelley are held in many private and corporate collections throughout the country and across the globe. Her work was featured in American Art Collector magazine, Artist Focus Page, December 2009 and in a featured upcoming show article, May 2010. “The Laurel of Asheville” magazine, featured her work in an article and on the cover in October 2009. The artist works in Asheville and lives with her photographer husband in Waynesville, NC. Jo Ridge Kelley speaks at her exhibition opening, "Simply Elegant" on March 8, 2013. An "In About a Minute" production. Artetude Gallery was pleased to host the Opening Reception of Jo Ridge Kelley's exhibition "Simply Elegant" on Friday, 8 March 2013. Simply Elegant - Exhibit of New Works - Artist Reception held at Artetude Gallery, 8 March 2013, Asheville, NC - On Exhibit - March 6 - April 8, 2013.